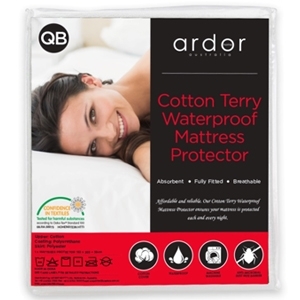 The Ardor Cotton Terry Toweling Waterproof Mattress Protector is not only affordable but also reliable. Featuring a Cotton towelling fabric with TPU coating for waterproof technology, an easy to fit stretch skirt and is dust mite proof. This product not only protects against unwanted stains, it doesn’t have that ‘scrunchy’ sound that many waterproof mattress protectors are known for. 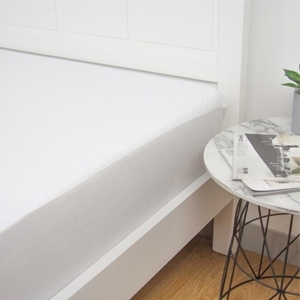 It is machine washable and may be tumble dried for fast easy care, ensuring your mattress is protected each and every night. © 2016 Sleep Solutions. All Rights Reserved. All Prices In Australian Dollars.